Controversial: The BTN has been accused of promoting racism, bigotry, disunity and intolerance in the name of instilling patriotism through its activities, like this in the National Transformation Training Programme. Biro Tatanegaran has not only survived, but festered in a multinational country. Its review is long overdue! 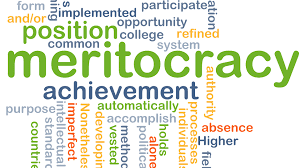 IF there’s one government agency which needs a complete overhaul by the new federal government, it must be the notorious National Civics Bureau, better known to Malaysians as Biro Tatanegara. Over RM1.1bil of taxpayers’ money has been outrageously spent to promote racism, bigotry, disunity and intolerance in the name of instilling patriotism. The BTN was set up in the 1970s as a Youth Research Unit under the Youth Ministry. But by the 1980s, the obscure agency had evolved into the BTN we know, and placed under the Prime Minister’s office. Its objective is to nurture the spirit of patriotism among Malaysians, and train them into future leaders who are “well-rounded intellectually, emotionally and spiritually” to support national development efforts. This monstrous machine was wellfed, not just during the Najib administration, but during the reign of the Mahathir administration as well. And certainly, Datuk Seri Anwar Ibrahim, too, used it as a political tool. But that’s in the past. Malaysia has rebirthed. And as the perfect paradox, only Tun Dr Mahathir Mohamad, as the new prime minister, can set things right again. Anwar would surely support any move to review, if not, bury the BTN, because he ended up the bogeyman in its lectures in later years while he was in the political wilderness. The BTN has been fraught by controversy for over three decades, with allegations of racism and political propaganda mainstays. It is inconceivable that good taxpayers’ resources are poured into such an organisation, which many participants have said, blatantly drums up race and hate politics. BTN’s brickbats come from either side of the political divide, yet the uproar seems to have fallen on deaf ears, presumably shackled by the lack of political will, or worse, tacit political support from the top. Another party leader, Amirudin Shari, said “participants are indoctrinated with propaganda about ketuanan Melayu” or Malay dominance. In 2009, then minister in the Prime Minister’s Department Datuk Seri Nazri Aziz ticked off BTN, squashing excuses raised in a Parliament debate that allegations of racist teachings might have come from mere “minor slip-ups” by BTN lecturers. “Don’t think that people outside do not know about the syllabus based on patriotism for Malays. They know what the syllabus is all about, so who are we to say that it did not happen? You want to lie? You make people laugh. As Dr Mahathir settles in and combs through the list of government agencies, this is surely one Malaysians would want scrutinised as part of the process of trimming the fat. 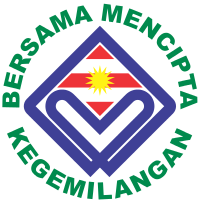 While it began as a youth research unit in 1974, under the Youth Ministry, it was reinvented as the BTN in the PM’s Department under Dr Mahathir. BTN was run by many supporters of Anwar, himself a regular speaker at these courses, though he would come to regret the things he said then. It has turned into an ethnic hate machine, as one writer put it, and has metamorphosed into an out of control monster. Surely, Dr Mahathir wouldn’t have imagined what it has become. Even if he allowed it to evolve into a political tool to indoctrinate civil servants and scholarship holders, especially Malays, it is time for him to sort this out. BTN may have been set up with the noble intention of “nurturing the spirit of patriotism and commitment to excellence among Malaysians, and train leaders and future leaders to support the nation’s development efforts”. But that’s not what has happened. 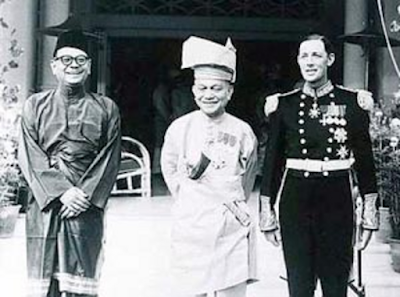 It has, instead, from all accounts, attempted to instil hate and prejudice among Malaysians, aspiring to produce leaders and future leaders with a jaundiced view. Malaysians would remember that in September 2010, BTN deputy director Hamim Husin was reported for referring to the Chinese as “si mata sepet” (the slit-eyed) and Indians as “si botol” (the drinkers) during a Puteri Umno closed-door function. Despite the outcry and media revelations, BTN was allowed to continue as it is, and with huge allocations streamed into these indoctrination camps. According to Lim Kit Siang, the budgets for BTN multiplied tenfold in the 1990s (RM200mil) compared to the 1980s (RM20mil), and continued to increase. It more than doubled to over RM550mil in the first decade of the 21st century. From 2010 to 2015, the allocation for BTN totalled some RM365mil. Now that the DAP is part of the government, it should be able to push for the right course of action, given its consistently strong stand against the organisation. This is the most opportune time to can BTN. Malaysians believe the new federal government won’t be angling to allocate more funds to keep this monster alive. By Wong Chun Wai who began his career as a journalist in Penang, and has served The Star for over 27 years in various capacities and roles. He is now the group's managing director/chief executive officer and formerly the group chief editor. https://youtu.be/Joi3euZ6DIU https://youtu.be/_drCqrquWPM PUTRAJAYA: On top of paying RM6.98bil to bail out 1Malaysia Developmen..
https://youtu.be/Gs4_eurnrtU https://youtu.be/GMMfxVxdlSM https://youtu.be/Wkp5a7RZOsQ MOST people are somewhat aware about ..